“Breakthroughs in technology are allowing for more detailed network analyses, so that we can study the connection between sociality and health in ways that we couldn’t in the past,” says Thomas Gillespie, an Emory disease ecologist studying endangered brown spider monkeys. Photo by Rebecca Rimbach. Social grooming, or helping others to stay clean and free of lice and other ecto-parasites, has long been associated with hygiene and good health in wild primates. In the process of picking out ecto-parasites, however, the groomers may be picking up internal ones, a new study finds. 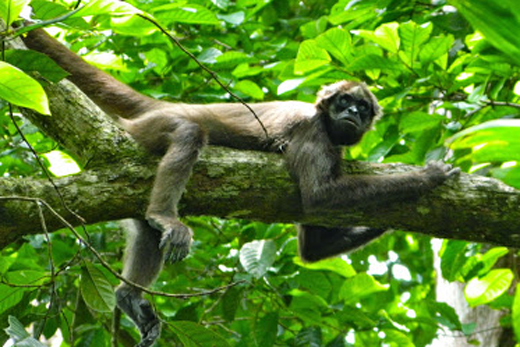 The journal Philosophical Transactions of the Royal Society B published the results of the study on critically endangered brown spider monkeys, showing that physical contact is associated with the spread of several common gastrointestinal parasites.